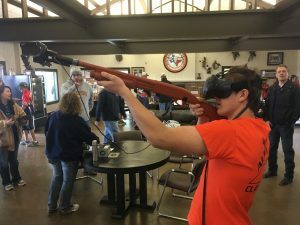 Wouldn’t you like to play a wing shooting video game with your own shotgun ? Not with an XBox or a hand controller, but your own gun as the game controller ? 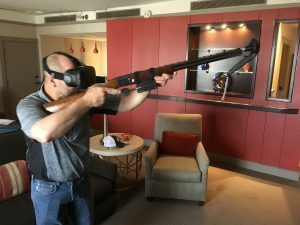 Now you can with CLAZER’s patented VR gun controller. 1. Pair the Vive Tracker and the Hand Controllers. Follow HTC’s instructions. It may help to tie the Tracker directly into the PC via USB and to use one of the Hand Controller pairing icons to pair the Tracker. 2. 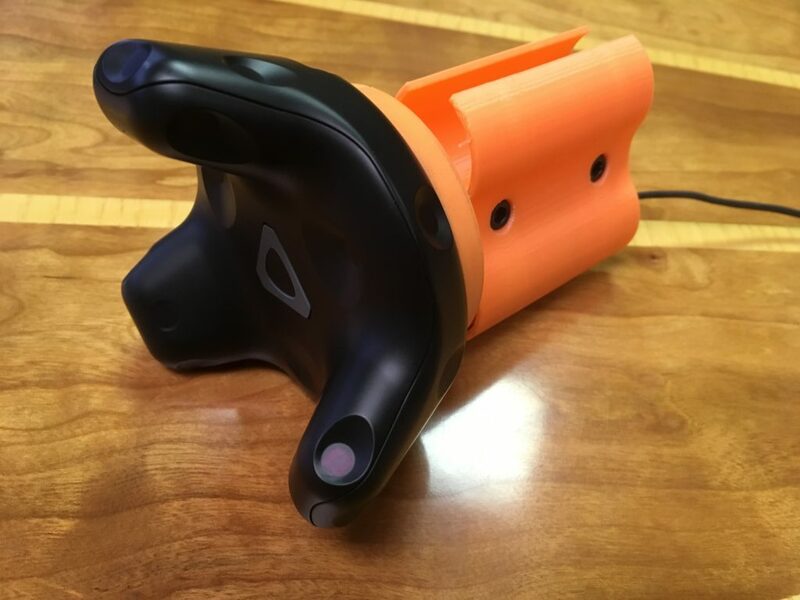 Install the paired Tracker onto the lower barrel of your shotgun with the Gun Controller. May need to shim the bracket for a 20 gauge. Once the Steam Windows application is open, select the STORE tab at the top. The beta version will begin to download and will override the normal version. You can open Clazer the same way, through the Library tab. 5. Select the Tracker version on the home screen by moving a Hand Controllers into the Tracker Globe and clicking a side button. If you have any issues that a 12 year old can’t help you resolve, email us and we will address them. 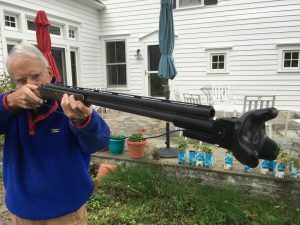 Coming to a gun near your !